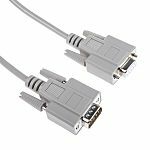 What are serial cable assemblies used for? Although serial cable assemblies have been replaced in some areas by Ethernet, wireless and USB connectorstechnologies, they are still used in applications where two devices need to connect with each other by means of serial communication protocols. Industry examples include industrial automation systems, scientific instruments, point of sale technologies, consumer products and industrial circuit boards. Basic DTE-DCE cables with universal compatibility features, typically used in data terminal equipment and data communication applications. Null modem cables, which ensure connection stability between two PCs where no modem is present. V.35 crossover cables, which enable enhanced data rates and increased transfer speeds. 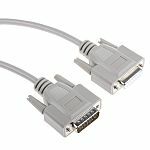 Serial printer cables that are used to connect computers and printers with serial port features.